Efficient, easy-to-use projector for classrooms and meeting rooms: with excellent picture quality and low ownership costs. 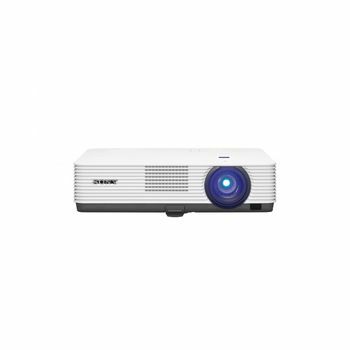 The VPL-DX220 XGA projector is a cost-effective yet fully-featured choice for clear, bright presentations in offices, meeting rooms and school classrooms. Light, compact and energy efficient, it's easy to set up and connect with other devices.2,700 lumens colour light output with 3LCD technology ensures crisply detailed XGA resolution images that are always seen clearly, even in brightly-lit rooms.Auto Start gets you presenting faster, while Quick Power Off saves time when you're in a hurry to the next meeting. Other presenter-friendly features include grid line templates for neater written notes on a whiteboard, plus a timer that reminds speakers not to outstay their welcome. Running costs are kept down by clever energy-saving features. Simplified maintenance and a long lamp replacement time of up to 6,000 hours helps reduce downtime in busy classrooms and offices.